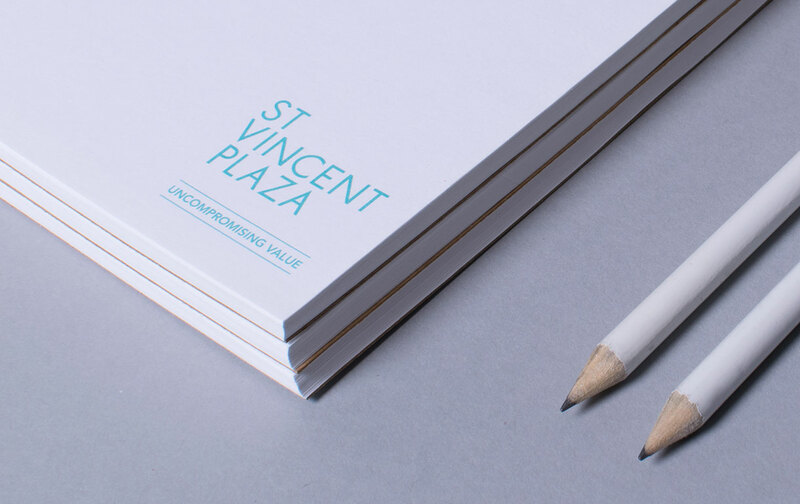 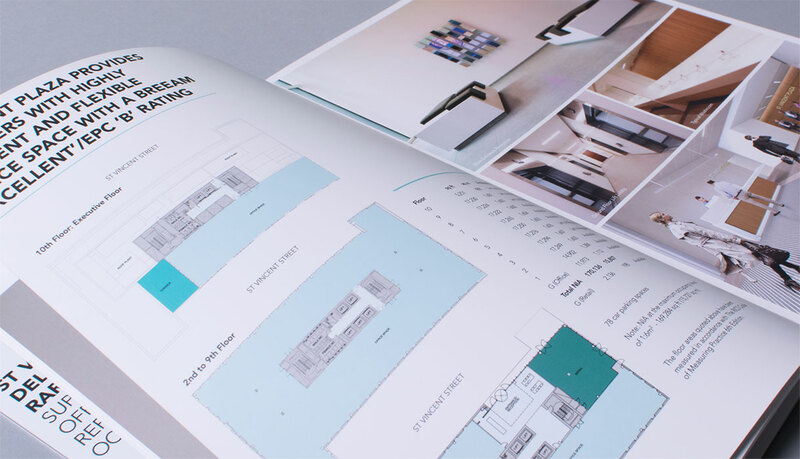 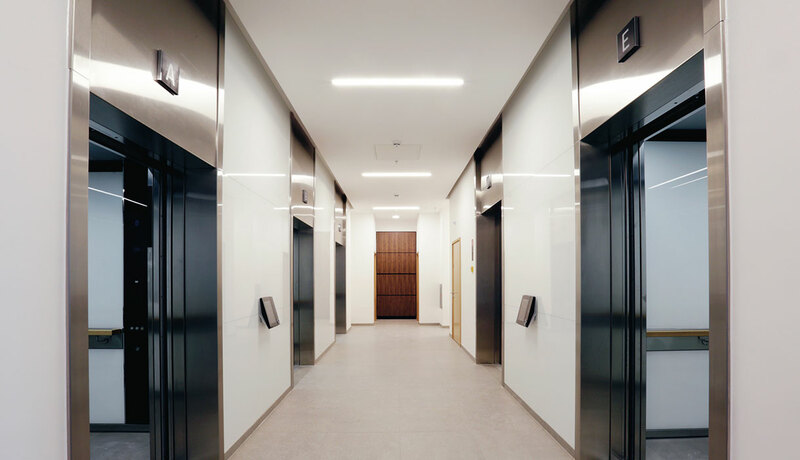 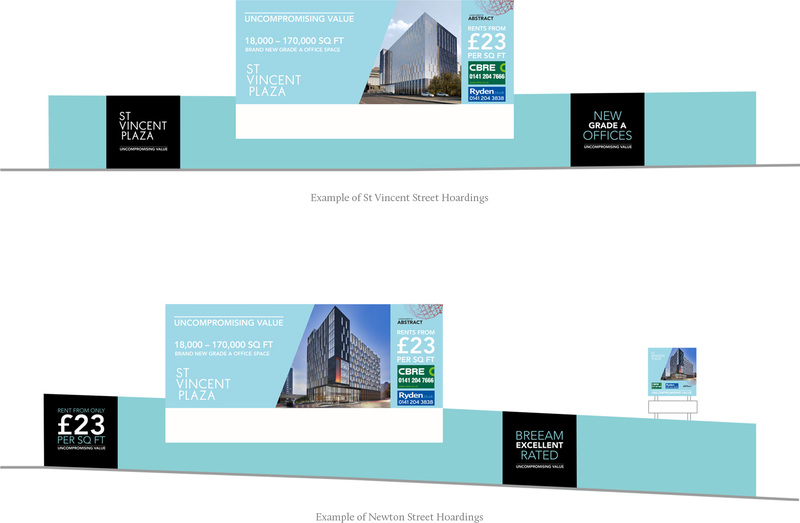 Defining a brand strategy for St Vincent Plaza, a new landmark office building on St Vincent Street, involved working closely with the architects, agents and the owners, Abstract Securities. 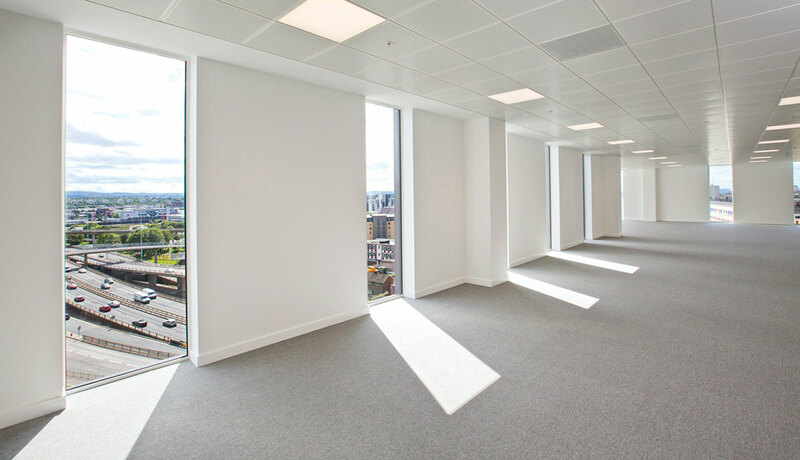 An outstanding new development comprising 172,000 sq ft of exceptional Grade A office space with panoramic views. 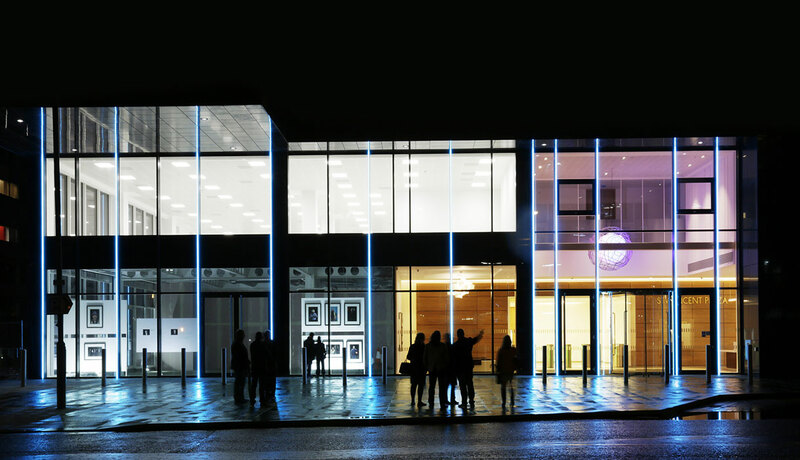 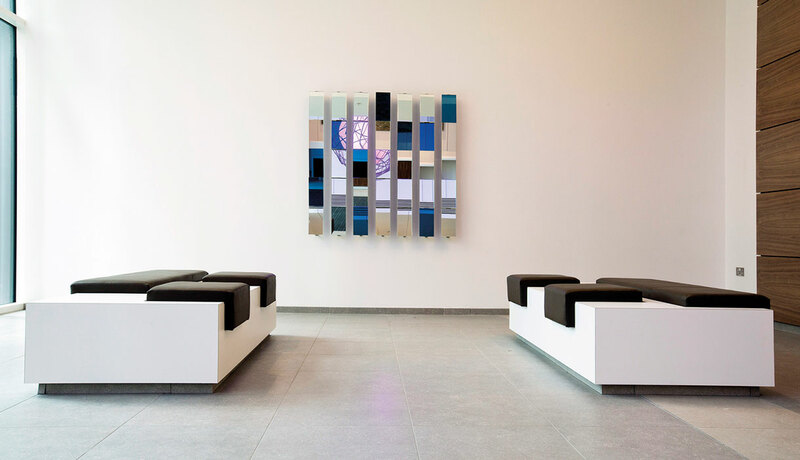 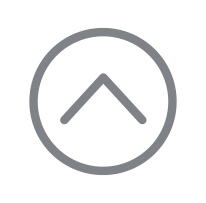 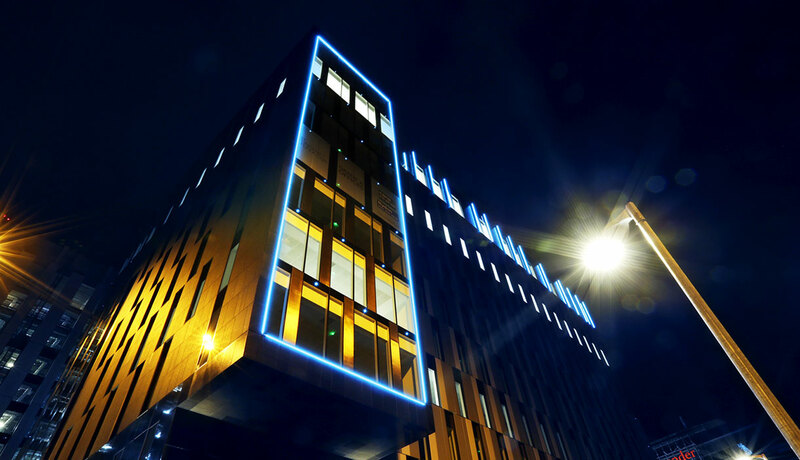 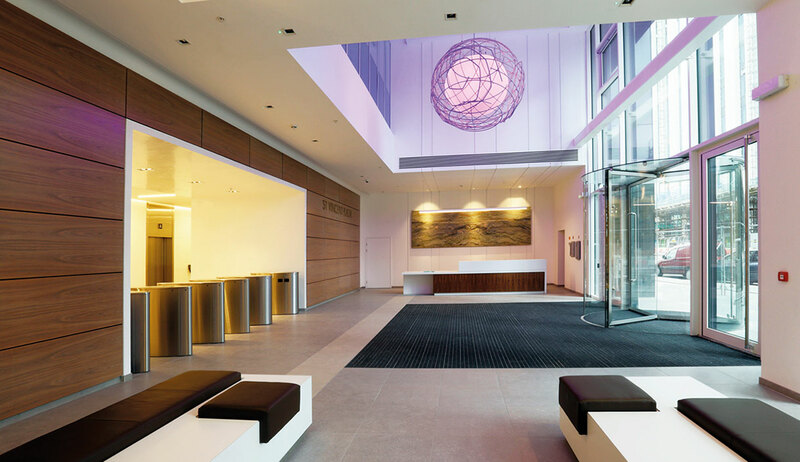 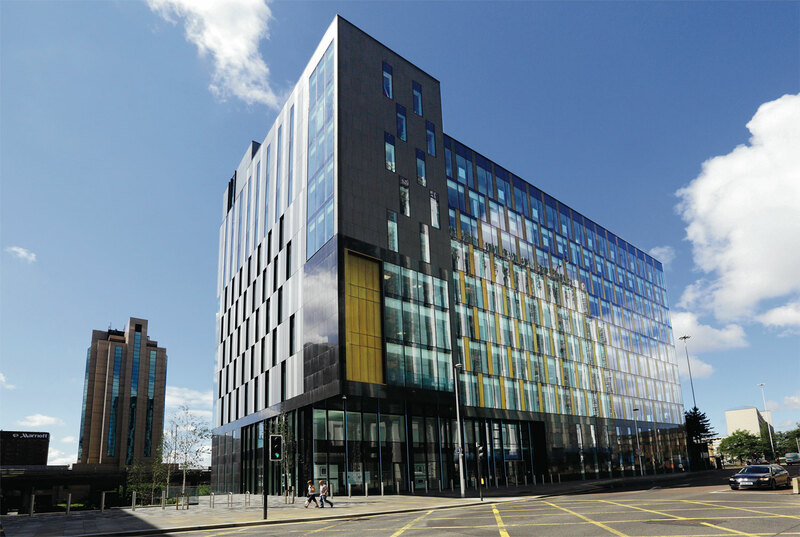 Located in the heart of the City on St Vincent Street, Glasgow’s premier business location. 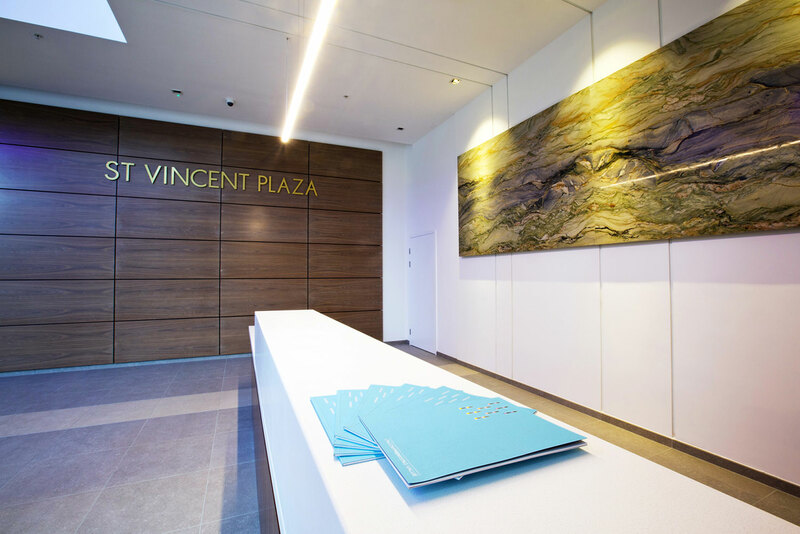 In order to tie together the marque and identity of St Vincent Plaza with the building itself we took direct inspiration from the building’s architecture, in particular the striking linear façades that cover the entire building. 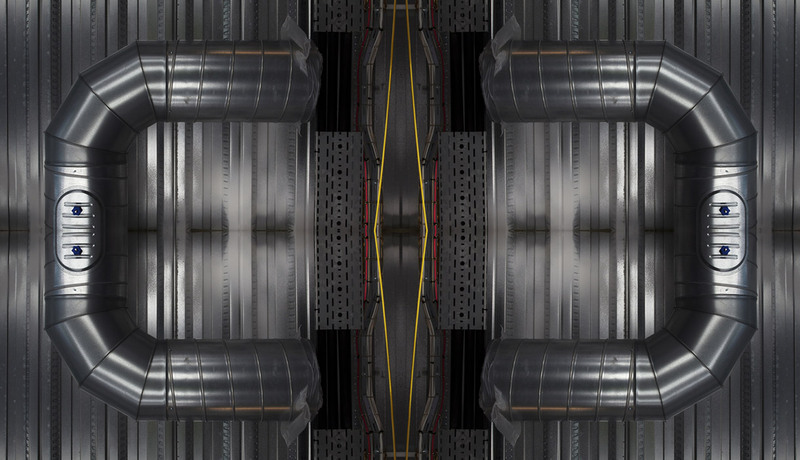 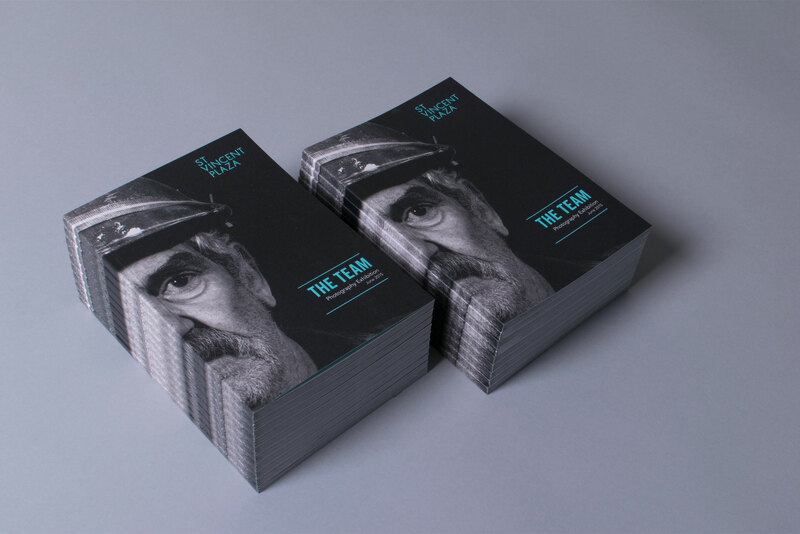 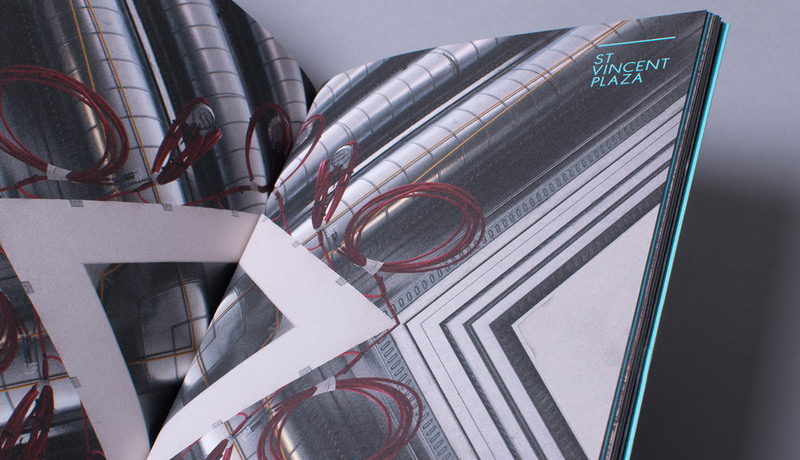 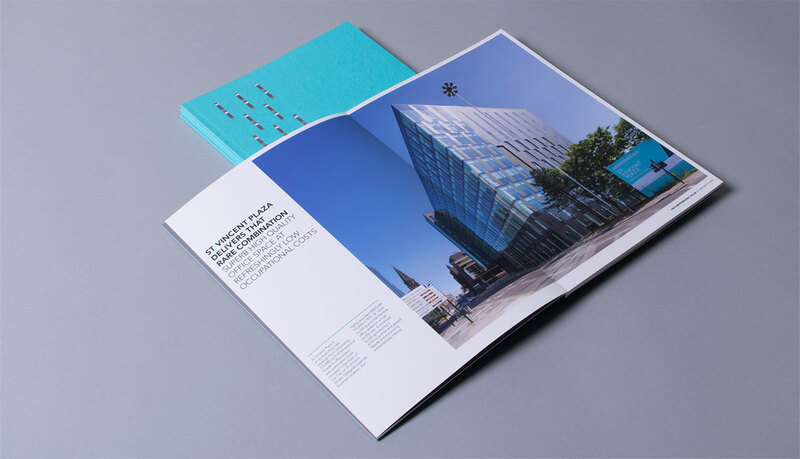 This created a unique graphic element that wherever used would present a tight bond between the identity and the building itself, making it instantly recognisable. 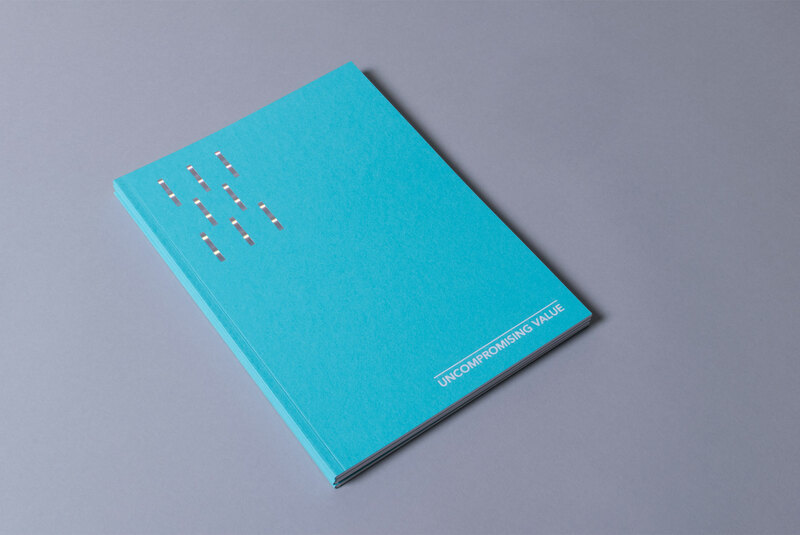 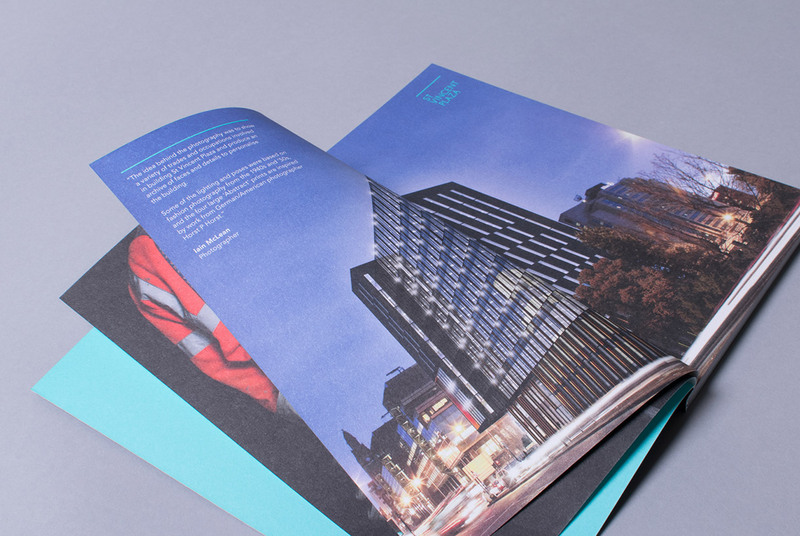 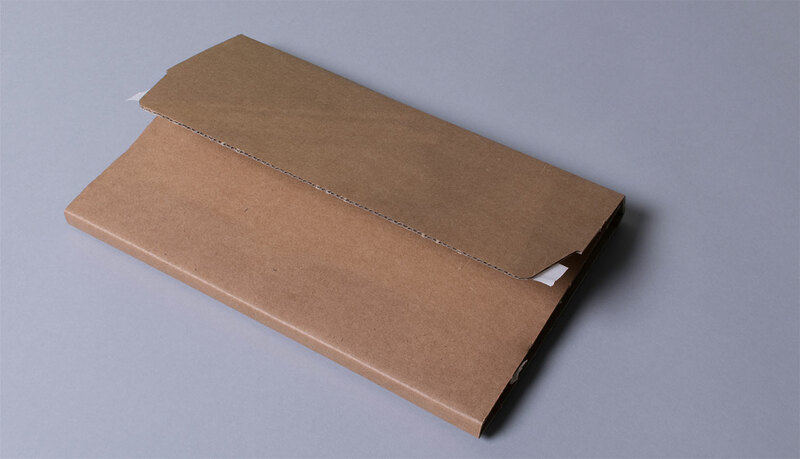 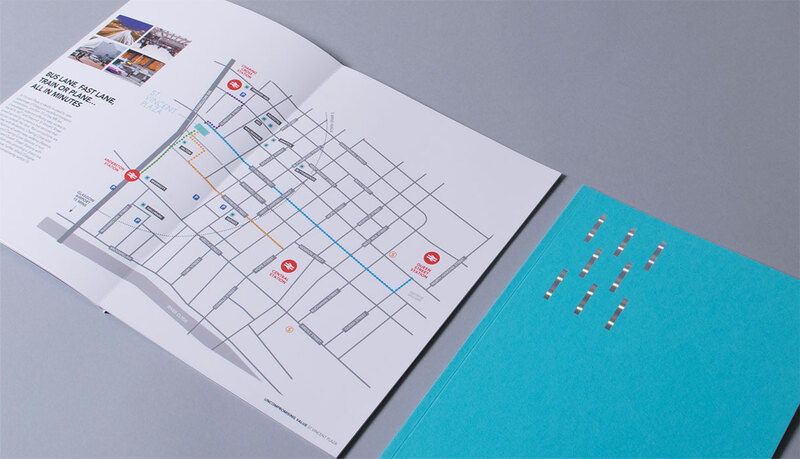 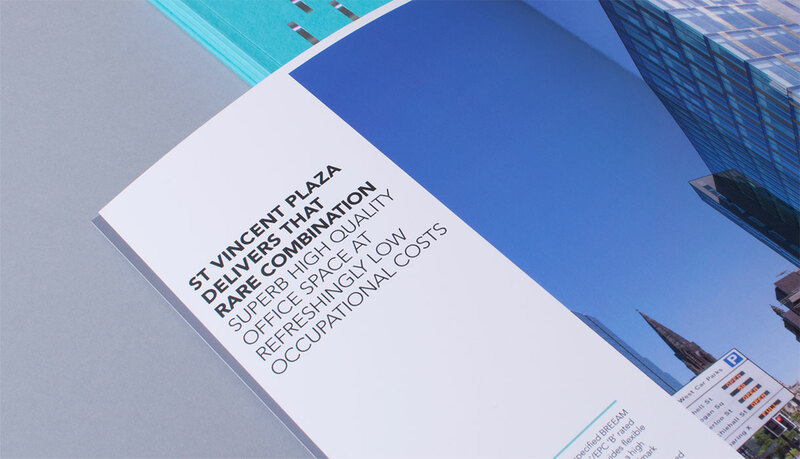 Duplexed, uncoated papers were used to emphasise St Vincent Plaza’s build quality with elements of the cover foil blocked to mirror the building’s reflective glass and metallic surfaces. 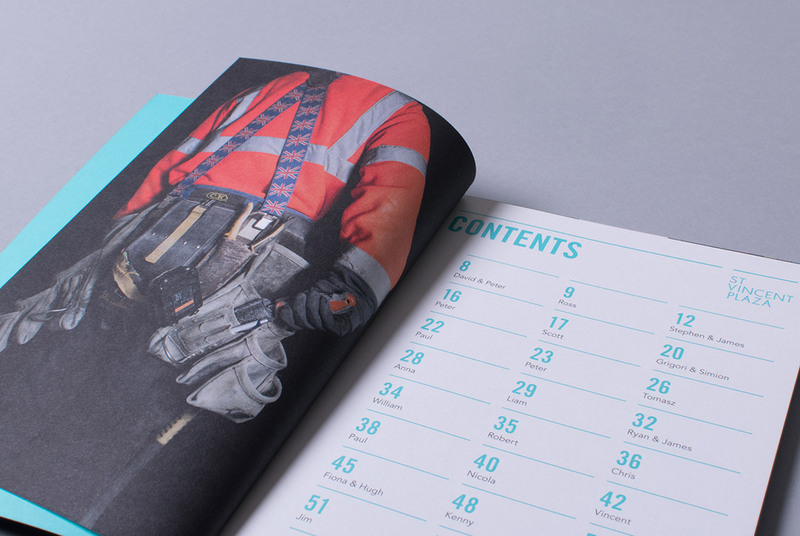 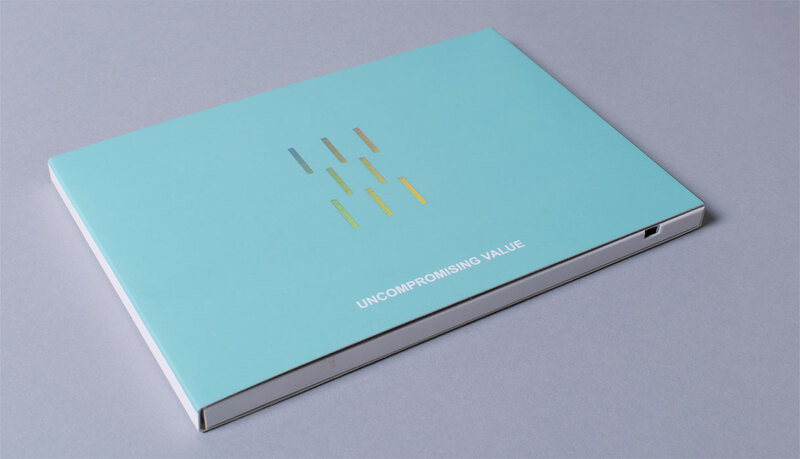 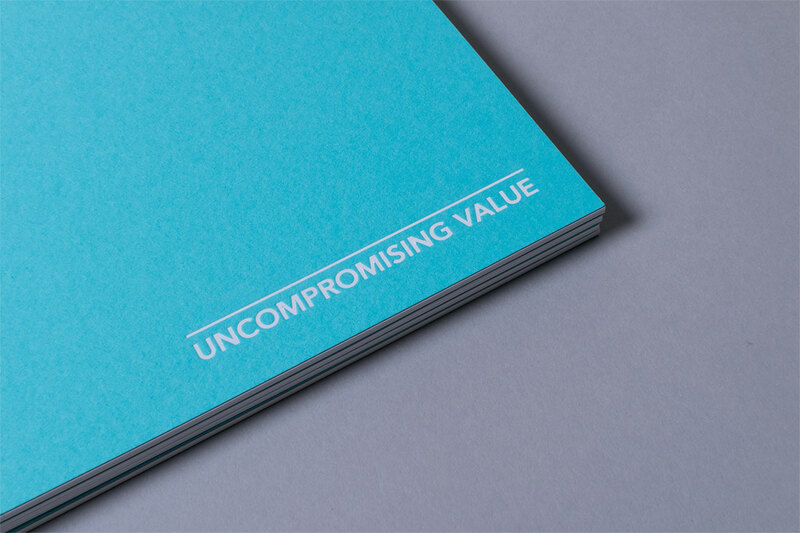 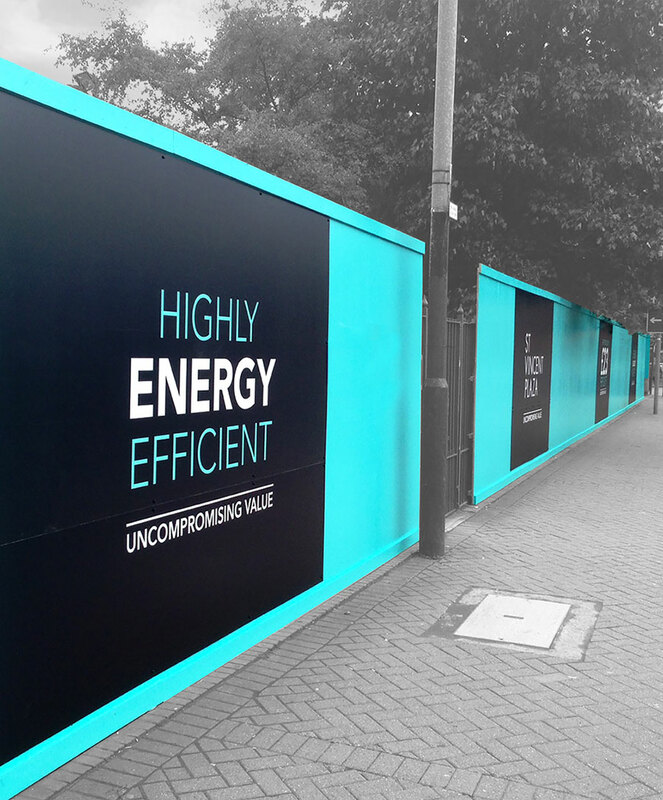 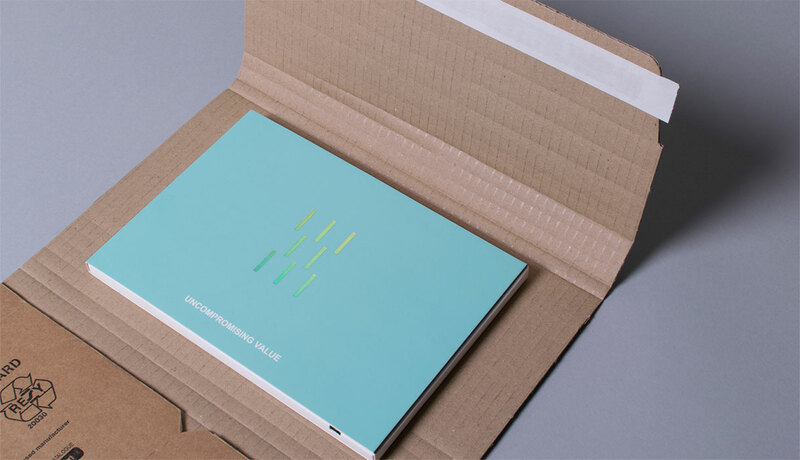 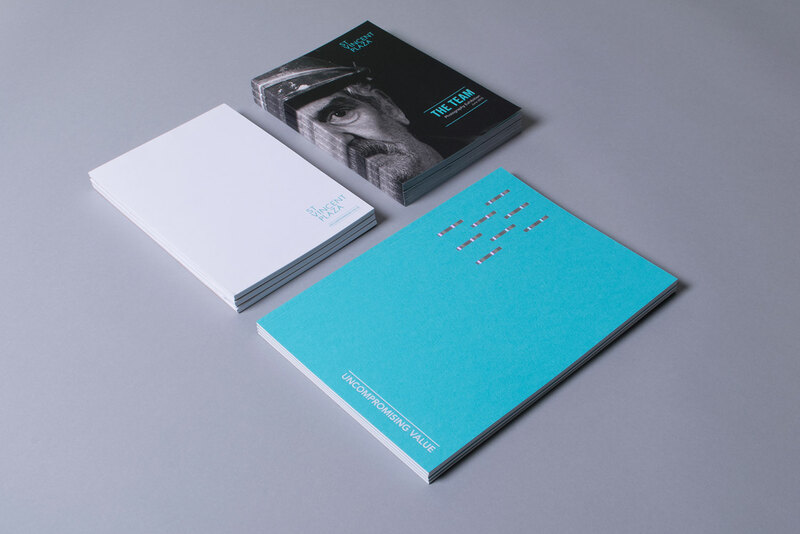 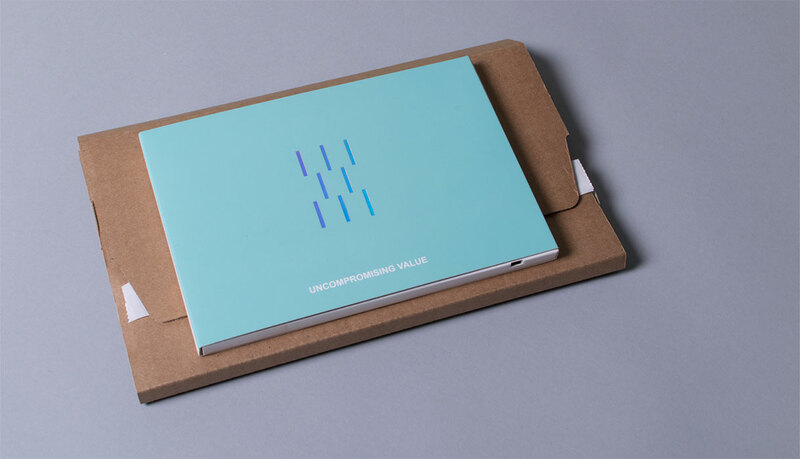 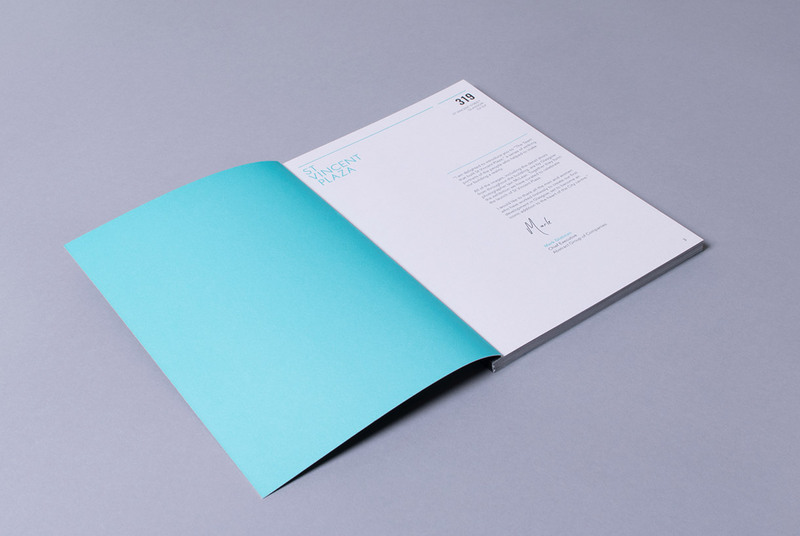 Crisp black and turquoise hoardings delivered the message “Uncompromising Value” a theme that was continued throughout all the marketing collateral. 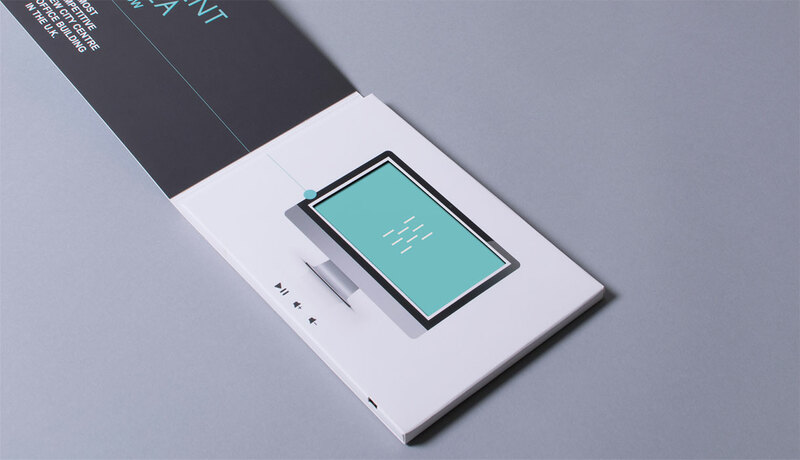 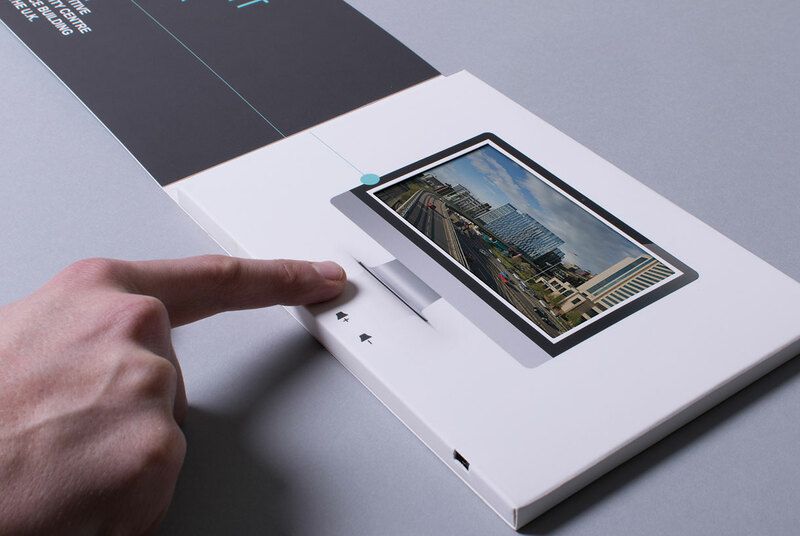 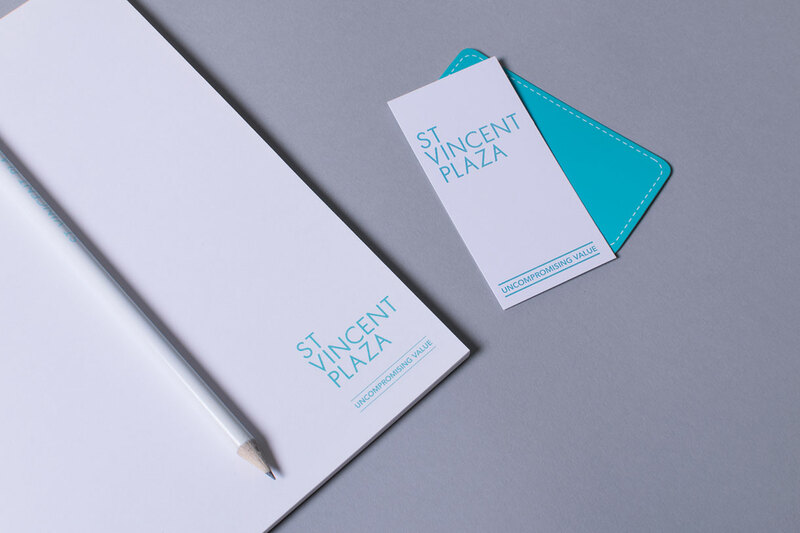 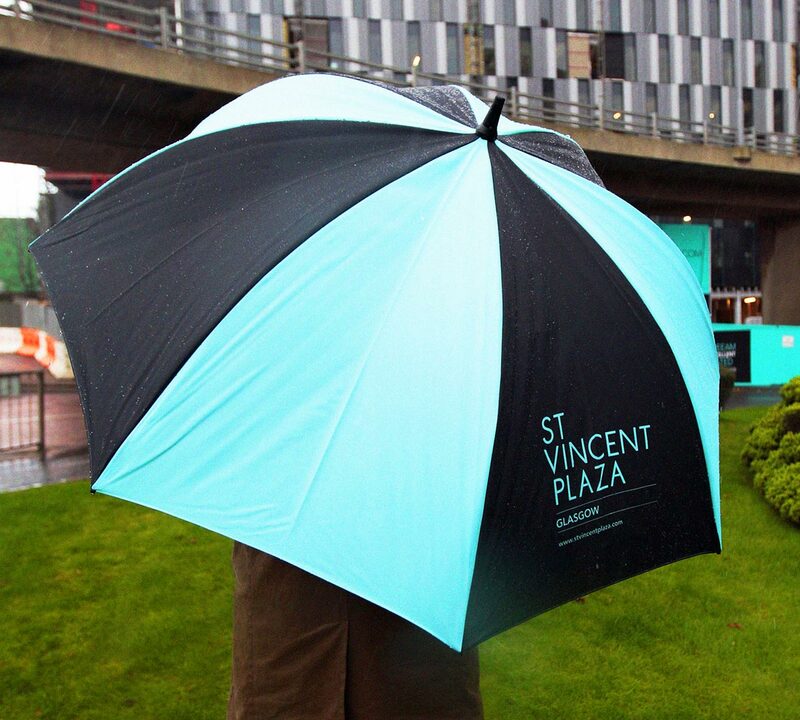 This attention-grabbing device, which was mailed to prospective tenants, contained a short film highlighting St Vincent Plaza’s strengths and played automatically once the card was opened. 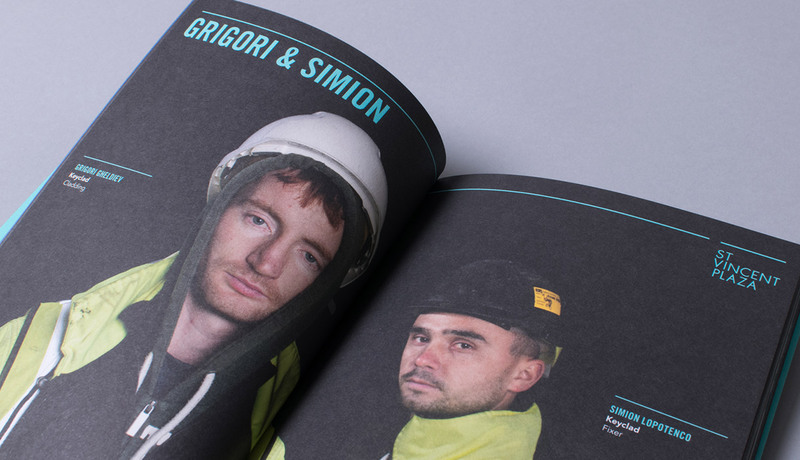 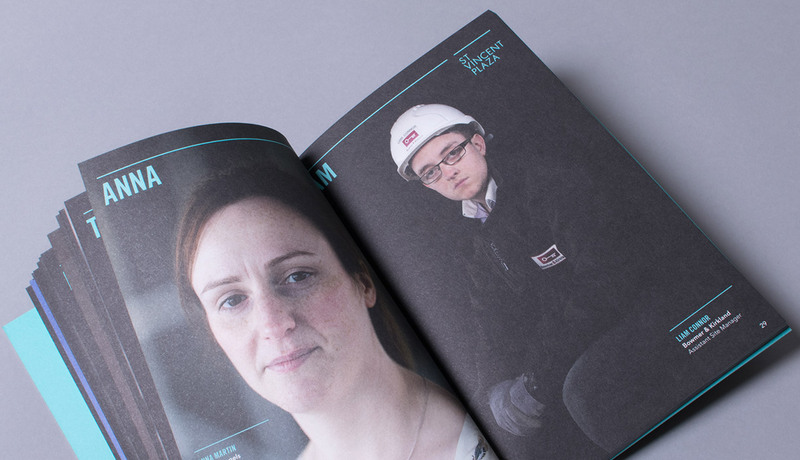 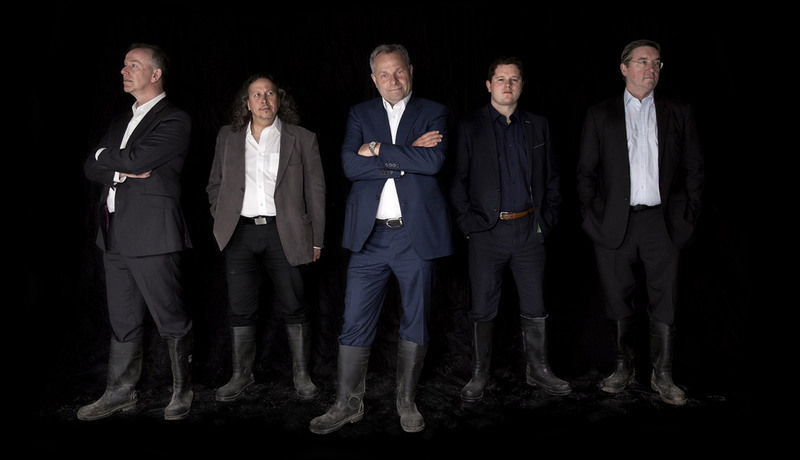 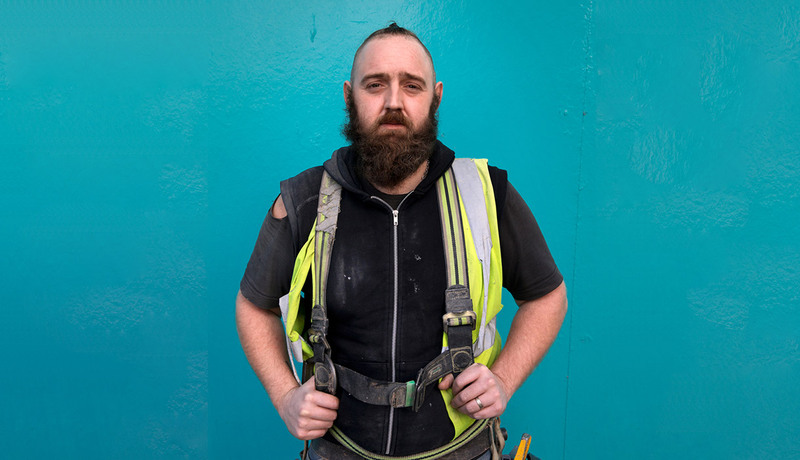 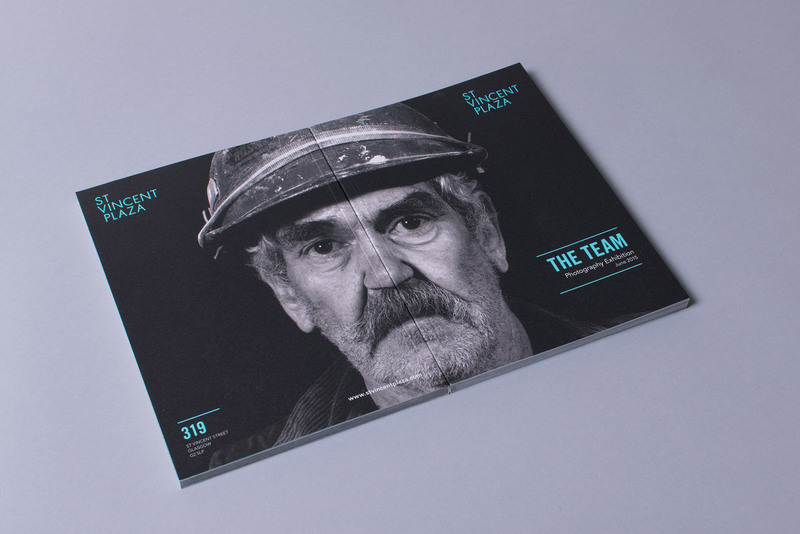 To commemorate the launch of the building a photographic exhibition and book were curated, featuring images of individuals who had helped to make St Vincent Plaza a reality.